Liked Janhvi Kapoor's D&G Dress? 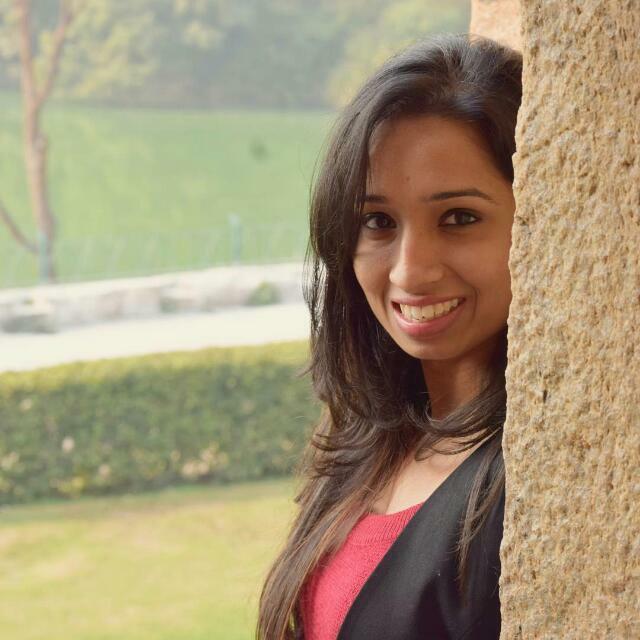 We Found An Identical Top For Just Rs 599! I spent my weekend making the most of the End Of Season Sales happening all over the world wide web. As enthusiastically as I was adding stuff to my cart, almost with the same level of enthusiasm did I come to a halt when I saw this. Remember Janvhi Kapoor's Dolce & Gabbana dress? 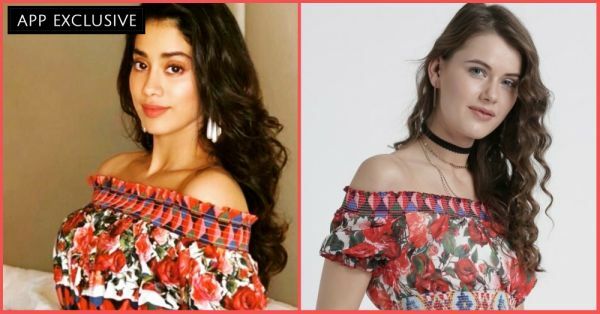 This off-shoulder printed dress that Janhvi wore to the success party of her Bollywood debut movie, Dhadak, is quite memorable for all that sass that its carrying. No wonder Splash copied the design on their skirt and top separates! That's right, we found the exact same top and a similar looking skirt at a price we couldn't imagine. Looking like your new favourite celebrity is now so easy and cheap! You can buy this Red Printed Crop Bardot Top (Rs 599) here. Instead of going for the same fit and flare skirt as the original dress, Splash decided on a flared maxi skirt in a print that was a close second to the original. 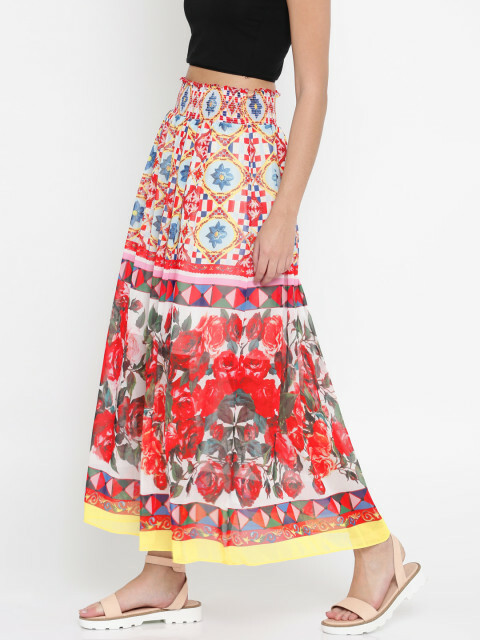 You can buy this Multicoloured Maxi Printed Skirt (Rs 779) here. Now, for the question of the hour. Would you buy a product that's a copy if you really liked the design or do you think it's fashion suicide to buy a copy? Tell us in the comment section below.